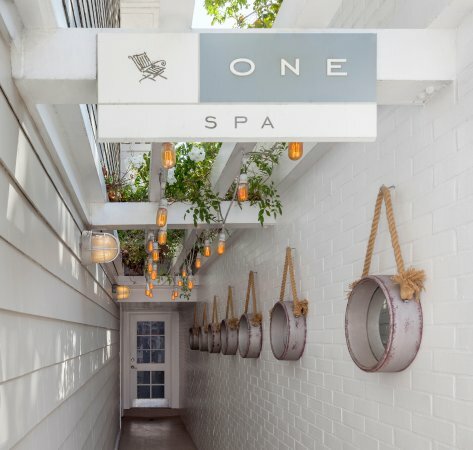 California is famous for sun, beach and healthy living so it’s no surprise Santa Monica has some of the best Wellness Resorts. The National Wellness Institute (NWI) defines wellness as an “active process through which people become aware of, and make choices toward, a more successful existence”. Dr Bill Hettler (the co-founder of the NWI) proposed six dimensions of wellness which include: occupational (one’s attitude towards work), physical (the need for regular physical activity), social (contribution to one’s environment and community), intellectual (one’s creative, stimulating mental activities) and spiritual (our search for meaning and purpose in human existence). With these six dimensions in mind, it is clear that wellness encompasses not only the body but also the mind. Described by VisitCalifornia as a long-time “Mecca for travellers in search of increased health, fitness, and inner peace”, California is the place to be if you’re in need of a recharge. 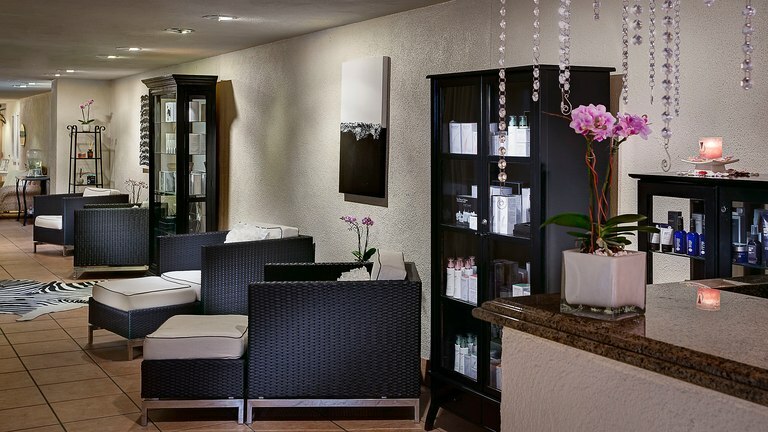 Being the hidden treasure that it is, Exhale, an intimate, full-service spa is found inside the Fairmont Miramar Hotel & Bungalows and is well situated for access to many of Southern California’s attractions. If it’s pampering you’re looking for, facials, body scrubs, waxing and nail therapies are available. Also check out the acu-healing services which include cupping, Reiki and traditional acupuncture. Massages; ranging from sport to craniosacral to pre-natal are also available. 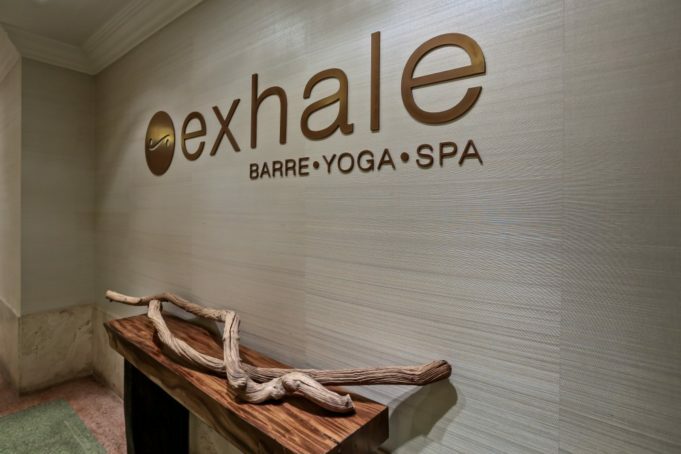 And if you want to get a sweat on, Exhale doubles as a fitness studio, offering fitness classes which include Barre, Cardio, Yoga, and HIIT. 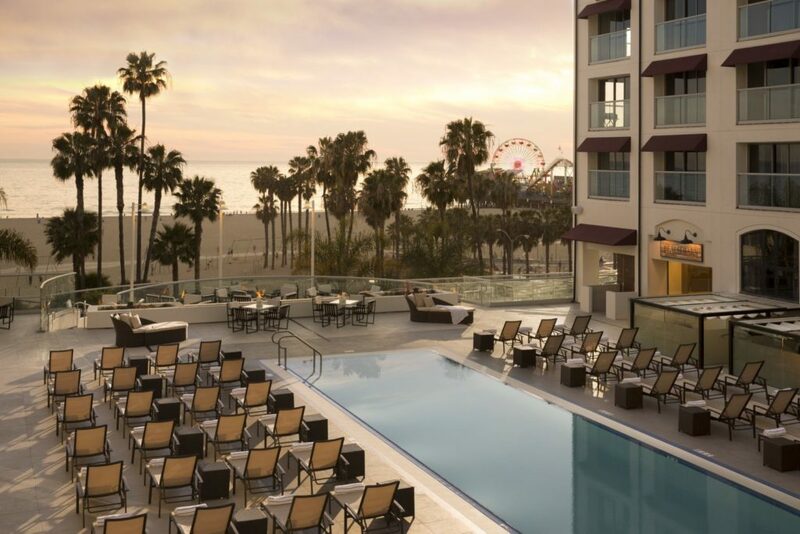 Located at the stunning Loews Santa Monica Beach Hotel, this eco-friendly spa features organic treatments, pure products, and eco-friendly design elements all the while offering a breathtaking view of the Pacific Ocean. These eco-friendly design elements include Ecoresin panels made from post-industrial recycled resin, sustainable ceiling tiles, reclaimed-wood furniture and more. In addition to this, Ocean Spa offers organic treatments that also incorporate the company’s ethos of environmental care by using sustainably harvested ingredients as well as biodegradable, recycled packaging. There are lounges available for men and women both prior and post-treatment. Men who want to treat themselves should consider the Gentleman’s Sea Escape Facial or the Aroma Massage. Women will want to try out services offered by the oxygen spa, which are said to produce immediate, medical-grade results without invasive injections or chemicals. Say hello to this luxurious spa inside the equally luxurious Shutters on the Beach hotel. With instructions on their website to “Relax. Restore. Repeat”, it’s clear that this is a place where one manicure/pedicure is not and shouldn’t be enough. This spa offers an array of treatments from Biolgique Recherche, Luzern and more all designed to rejuvenate your body and mind. Here you have access to a variety of innovative services such as the Sun Relief Hydration Quencher which targets sunburn, sensitivity, dehydration, and dryness. There is also the Mediterranean Hammam Ritual which cleanses and detoxifies. You can also customise a message to suit your taste; customisation includes the style of the message (Swedish, deep tissue or therapeutic), length (60 or 90 minutes) and blend (rosemary, lavender, eucalyptus, muscle comfort or fragrance-free). There are also advanced facials in addition to standard facial options and there is a polish-free pedicure designed for men! The eco-friendly Sea Wellness Spa at Hotel Casa Del Mar is a very welcome rest from the hustle and bustle of the city. Treatments include the Magnesium Wellness Massage, which nourishes the skin and removes tension, the Hot Stone Massage, which utilises heated basalt stones for the relief of muscle tension and pain and many more health benefits. The LightStim Anti-Ageing facial contains a cocktail of amber, red and infrared lights to stimulate collagen and promote circulation. Another standout treatment is the Organic Aloe Wrap, which combines algae and lavender to hydrate the body. This spa, located inside the JW Marriott Santa Monica Le Merigot offers a tranquil and soothing atmosphere for guests. The quiet room features slip-covered sofas, zebra rugs and hanging crystals to create a homely, comfortable environment, pre or post-treatment. The Express Facial or Shiatsu Massage, which last 25 minutes each are perfect if you’re in a hurry. For problematic skin, try the Clarifying Acne Facial or the Repairing Black Facial which makes use of resurfacing microdermabrasion and Retinol. Don’t forget the Espresso Mud Body Treatment, which targets and removes impurities.